If you haven’t visited Koh Lipe before, this guide will help you understand and know what the best things to do there. It’s a rather small island but it’s the perfect place to relax and chill on the beach for a few days if you are after a little bit of respite from exploring. 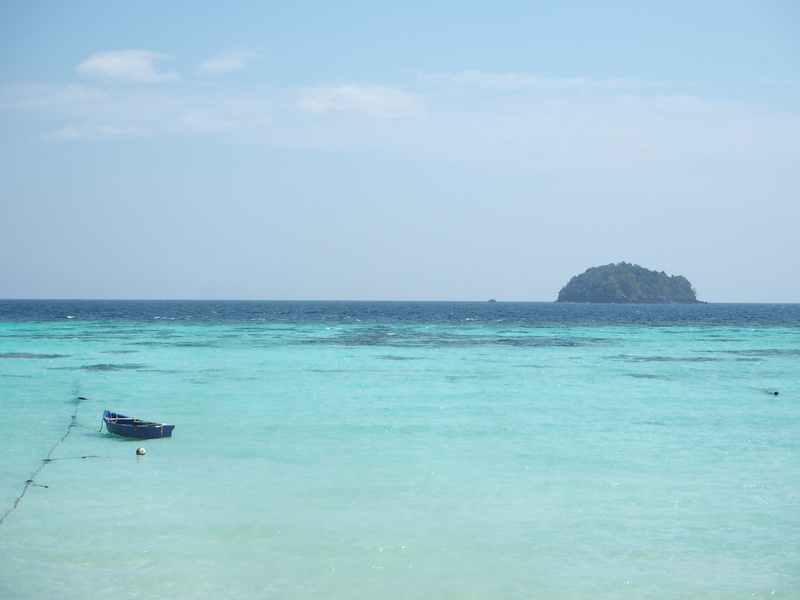 Koh Lipe is commonly called “The Maldives of Thailand” and for good reason. With it’s idyllic white sand beaches, beach bars, crystal clear blue seas and perfect snorkeling conditions you can definitely sea why (See what I did there!) It’s the perfect place to relax and get some chill out time in the middle of a busy time exploring and travelling around some big cities. I fitted Koh Lipe in the middle of my 3 week holiday in between Singapore and Malaysia. Unfortunately I won’t recommend our accommodation we had in Koh Lipe only because there were quite a few things wrong with it. The bed was so hard. There were no plug sockets inside the room that were close to a mirror. The mirror was outside in front of the shower. The room had no protection from mosquitoes. The woman who owned it was friendly to start with but then spent the rest of the time we stayed there on her iPad hardly talking to us. Probably because we didn’t stay at her place for breakfast. There are however some very nice hotels on Koh Lipe and even some very nice looking hostels as well so whatever your budget you’ll be sure to find somewhere nice to stay on the island. My absolute favourite place to eat was Cafe Tropical. The perfect spot for breakfast, lunch and dinner with a huge range of food and drink. Especially for veggie, vegan and normal diets. It was our go to place for breakfast as the portions were amazing and the food was so delicious. Even though it was so busy, be sure to grab your table quickly. No matter what time you visit. Or you can visit their sister restaurant Elephant further down Walking Street from Cafe Tropical. If you fancy Italian I would go to La Luna – over Capriccio. The service was terrible – the Italians had been prioritised over anyone else and I ordered the ravioli which was literally 6 pieces of pasta and didn’t taste that amazing. There was no mention of garlic bread, side dishes or desserts on the menu but they were serving their Italian customers the typical dishes. I would avoid Capriccio completely! Don’t waste your money going there. La Luna had a lot of good write ups and I’m gutted we didn’t check them out when we went but it’s worth a look at if you’re on Koh Lipe. Sadly another place we missed which looked really good and also got good write ups was The Box, that also has it’s own little resort attached. It’s quite small and is always really busy so if you really want to try it I’m sure you can reserve a table. They do smoothie bowls which I was gutted I didn’t get to try but I had one in Cafe Tropical. Benny’s On The Beach had good looking food which I’m gutted we didn’t get to try as we only went for a drink but they are worth a shot if you are on Sunset beach. It’s run by two ladies from England and had a very chilled vibe on the beach which I loved. Would you love to visit Koh Lipe? Have you been to an island like this? Let me know in the comments below. It’s a lovely island for a week of chill. This is such a good guide to koh lipe! I really want to visit Thailand one day so this will be going on my list!